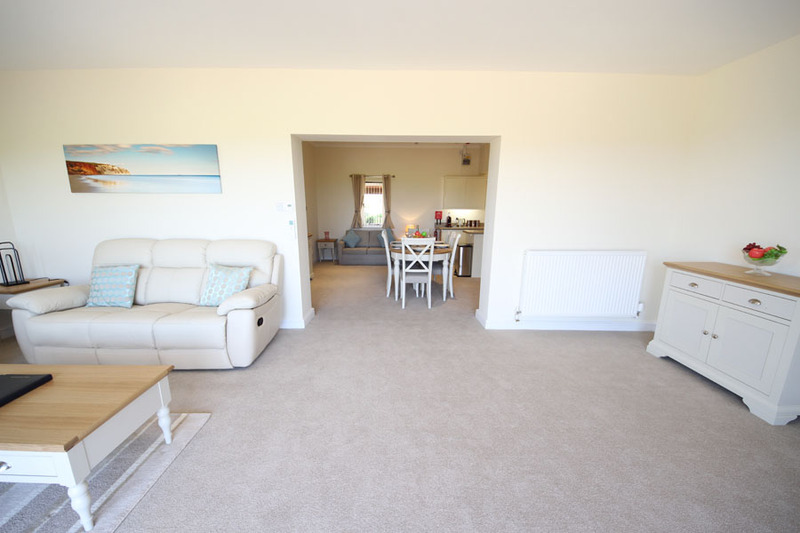 A superb air-conditioned apartment sleeping up to 4 (or 5 including a baby in a cot), with fabulous open plan living, kitchen diner, patio and sea views. 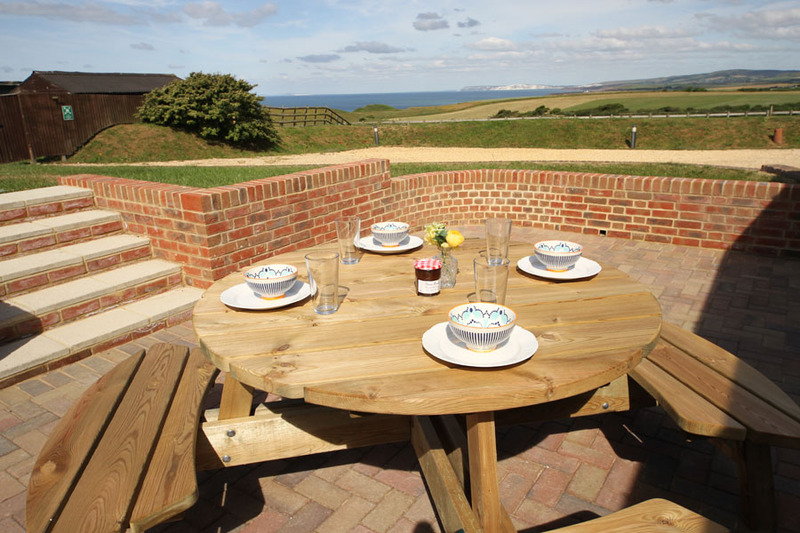 Needles' View at Chale Bay Farm is a superb family-friendly self-catering apartment with all modern conveniences including air-conditioning. 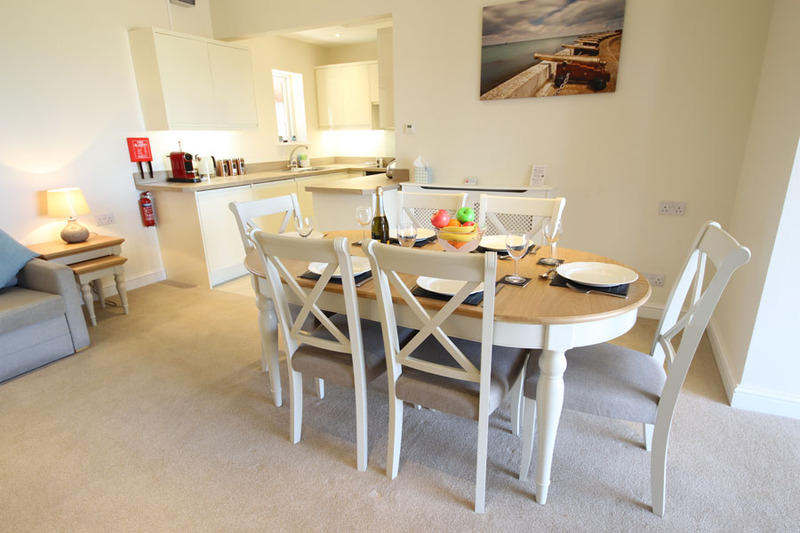 This apartment sleeps up to 4 (or 5 with a baby in a cot) but remember that you can add more space simply by booking our stand-alone room Tennyson View or one or more of our other apartments to sleep up to 14 in total. Arriving, you have ample choice of free parking in our landscaped gravel car park before entering your apartment via its private front door from our couryard with peaceful illuminated water garden and pond. 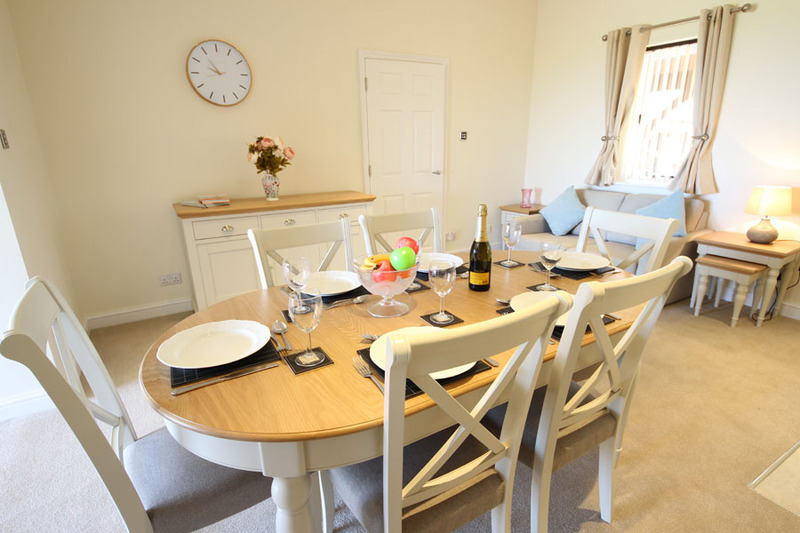 The living area features a contemporary open-plan, fully-equipped kitchen with dual oven, hob, microwave, fridge, freezer, dishwasher and combined washing machine/tumble dryer and adjacent dining space as well as the large sun-room/lounge. 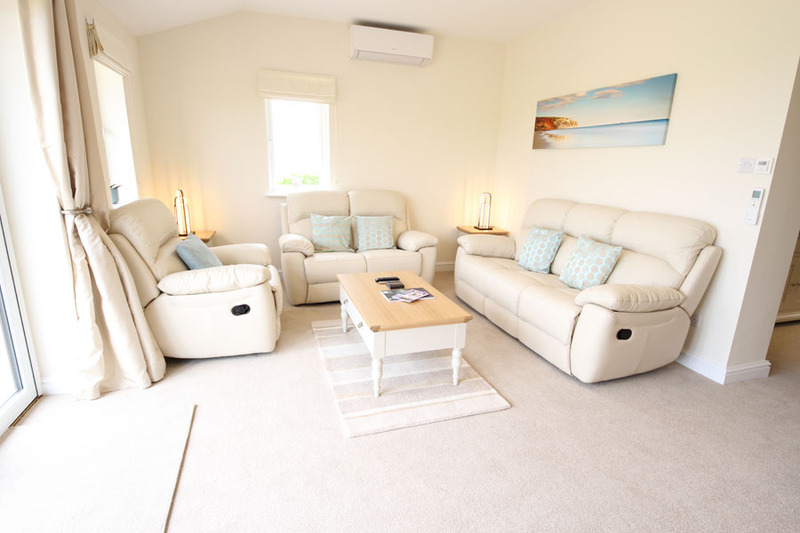 The air-conditioned sun-room/lounge features comfortable sofas and a 49" HD satellite/internet connected TV which has hundreds of Freesat channels and using the Smart TV features you can also use catchup-services such as BBC iPlayer, YouTube, see the regional weather and play a selection of interactive games. A Blu-ray player is also provided with selection of DVDs. 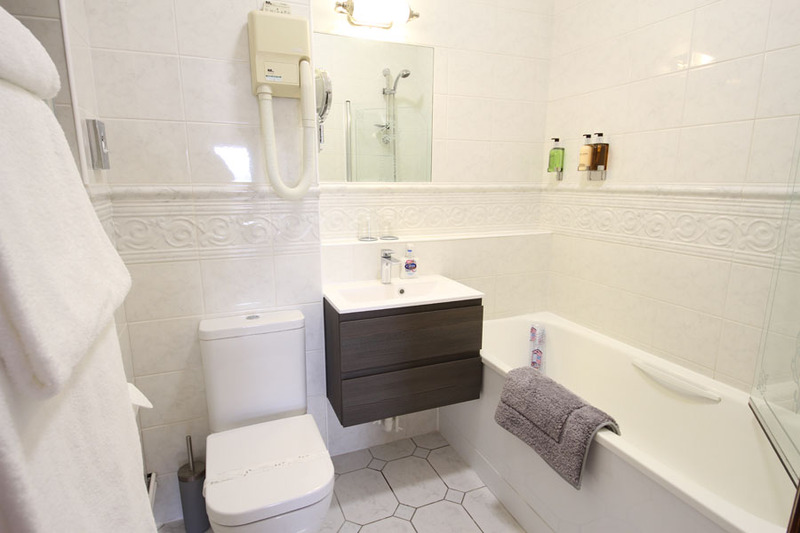 The main bedroom features a super king size double bed with Egyptian cotton bedding, leather armchair, sofa, side table and plenty of wardrobe and drawer space with ensuite bathroom that includes a full size bath with powerful shower, heated towel rail and hair dryer. There is also a handheld hairdryer in a dressing table drawer. To wake you up in time to make the most of your day there is a DAB/FM radio/alarm clock with iPod/iPhone dock/MP3 connection. 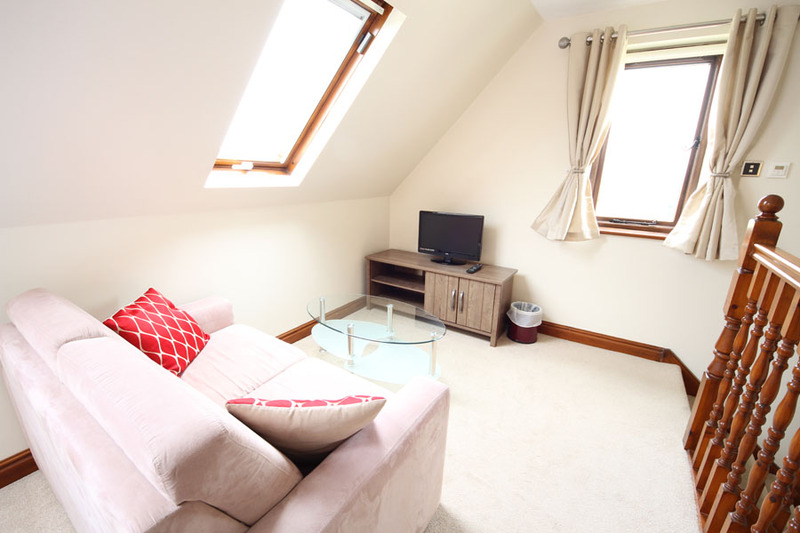 The bedroom also features a 40" HD Satellite TV and air-conditioning as well as it's own separate patio with chairs. 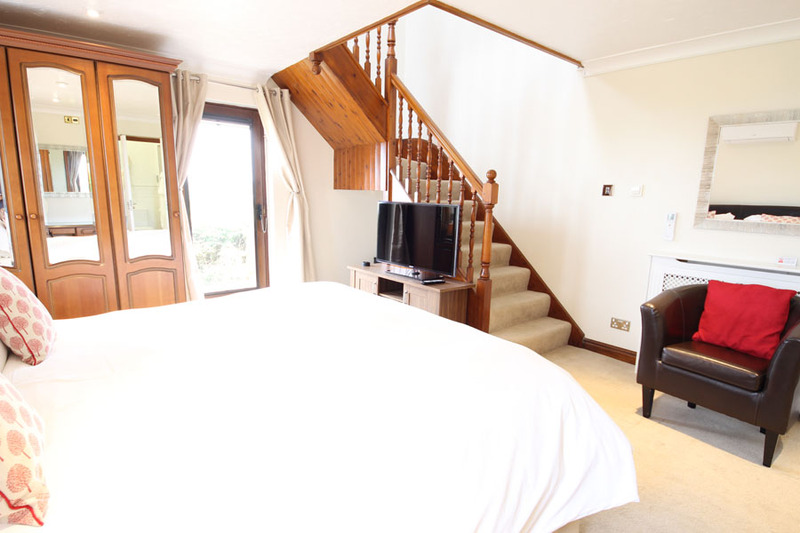 The second bedroom is accessed via stairs from the master bedroom within the suite has two full size single beds and a lounge area with sofa and coffee table and second TV with built-in DVD player for the children. High Chairs, stair gates and travel cots are available for no additional charge (providing they are requested at the time of booking). 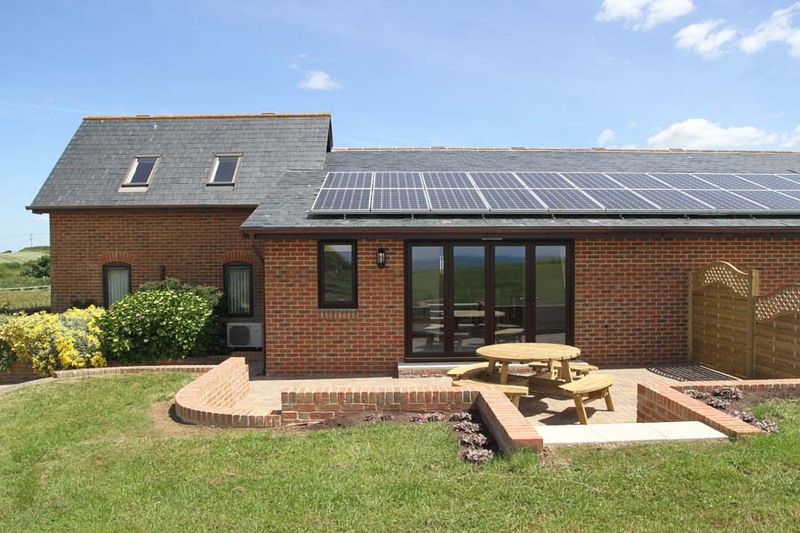 Outside, via huge bi-fold opening doors you have your own personal south-westerly facing patio with large picnic table and steps up to the lawns and lovely views directly over the fields and out to sea and also north westerly towards the Needles . Walking around the property you have access to the shared lawns and paddock including box of lawn games including croquet, cricket and frisbee, as well as balls of all shapes and sizes. 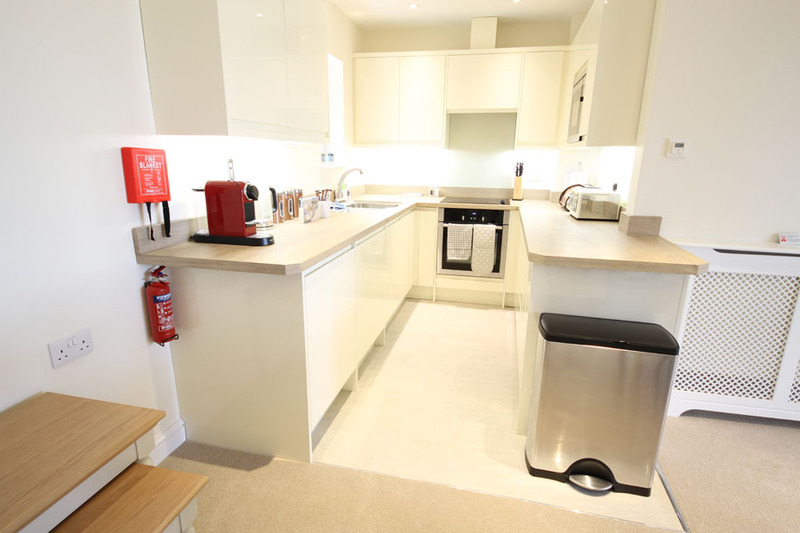 There is free Internet connectivity provided via high performance WiFi access available throughout the entire property. For additional security there is also a safe which is large enough to accommodate most laptops. 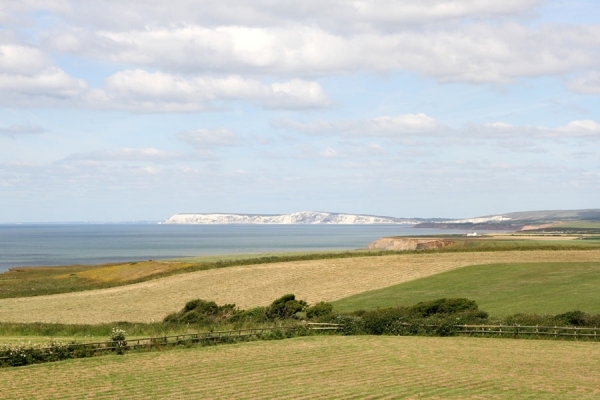 For those who have stayed with us when we were a guest house, Needles' View combines our previous Superior Rooms, Room 5 and Room 6, together with a brand new entrance hall and large extension. All guests are honorary members of our air-conditioned Gym during their stay which boasts a treadmill, cross-trainer, recumbent cycle and WattBike, as well as the Sauna and a retro arcade machine. The Gym also houses an extensive DVD and Blu-ray disc library. All specifications are accurate at the time of writing but subject to minor alterations from time to time.